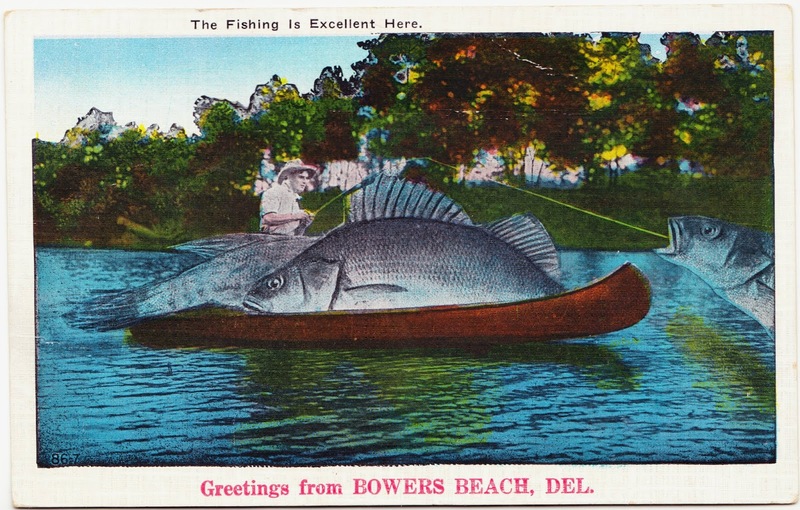 Papergreat: 1936 fishing adventure: "The water couldn't of been much rougher"
1936 fishing adventure: "The water couldn't of been much rougher"
There are two separate lines of pre-printed text on the front of this exaggerated postcard featuring a huge fish: "The Fishing Is Excellent Here" and "Greetings from Bowers Beach, Del." The card — published by Nyce Manufacturing Company1 of Vernfield, Pennsylvania, and officially labeled "Freak Fish" on the back — was mailed in 1936 to Ephrata, Pennsylvania, resident Lydia S. Zimmerman. Arrived here at 4:30. None of us slept a wink last night. Got 2 boats for $25, bait $5. Went out 6 miles on the Bay. The water couldn't of been much rougher. Waves about 6 ft. high & [Aaron?] got 1 bite. None of the rest had a bite. We all got sick but 3 on our boat and come in at 8 o'clock and traded our bait on some fish to take along home. It was any thing but like this picture. The other boat is out yet so we have time to loaf around a while. We are all feeling well again. From SMS. 1. Nyce Manufacturing appears to have been run by William G. Nyce (1888-1958), whose papers are held at the Mennonite Heritage Center. 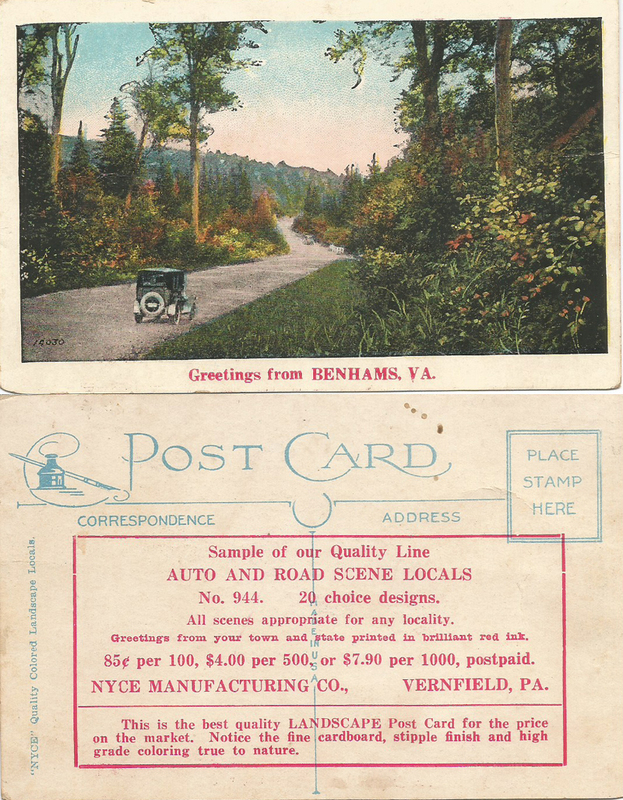 In 2015, the blog Uncle Bob's Pix featured a Nyce sales sample postcard offering 1,000 cards for $7.90. It shows how the "Greetings From" postcards could be customized to provide the name of any town or place.